Events in Napa in April 2019 include Arts in April, Wine Valley Cycle for Sight, and the Calistoga Food & Wine Festival. You will also find shows at the Uptown Theater, wine tasting events all around the valley, and a few other fun things to do during your visit. Read on for details on the best activities in Napa this April. Napa Valley "Arts in April"
This is the 9th year of the month-long Arts in April festival that strives to bring the community together at arts and cultural events across Napa County. By attending a variety of art gatherings, you'll discover the downtown districts of Calistoga, St. Helena, Yountville, Napa, and American Canyon, engage in thoughtful conversations, and hopefully get inspired! Some of the best night events in Napa in April are at the Uptown Theater. Here are all of the performances scheduled so far this month. The Cycle for Sight / Rotary Ride for Veterans is one of the most fun and athletic events in Napa in April, perfect for those who enjoy being active outdoors. The bike race offers the satisfaction of helping a great cause while enjoying scenic routes through the vineyards and rolling hills of Napa Valley. Choose from 50-, 25-, and 15-mile courses, and enjoy the music and wine festival that will take place at the end. Click the links below for top deals all around Napa Valley. This trail running event features a half marathon, 10K, and family 4K Fun Run. The course starts atop the Napa Valley at Pacific Union College, then leads runners along the Angwin Trails on Howell Mountain lined with groves of pine, oak, redwood, and manzanita, and then finally to the famous Angwish Hill. This is a great opportunity to get out and enjoy Napa's incredible natural beauty. CampoVelo Napa Valley is another cycling event this month. Activities and festivities for this one will last throughout the weekend in the town of St. Helena. Routes range from 12 to 80 miles on moderate terrain with some hills. Just think of how you will fully enjoy the region's world-class food and wine after burning all those calories! Spend the weekend in the Stag's Leap District sampling wines and learning more about their world class wines. The weekend starts with exclusive Friday night dinners. On Saturday, enjoy open houses with special all around the Stag's Leap District. The weekend long event ends with a hosted lunch on Sunday. Tickets are required for all events. Head over to the Blue Note for some great live music almost every night of the week. This live jazz club is on the first floor of the gorgeous Napa Valley Opera House. In addition to world class jazz music, they also serve up farm to table dishes along with some of the region's top wines. It's one of the best night events in Napa in April. You will find dozens of wine tasting events in Napa in April. The ones listed below are at the wineries and offer you the chance to taste the best Napa Valley wines. Most events are on the weekends. Almost all events include a fee to taste and/or attend. 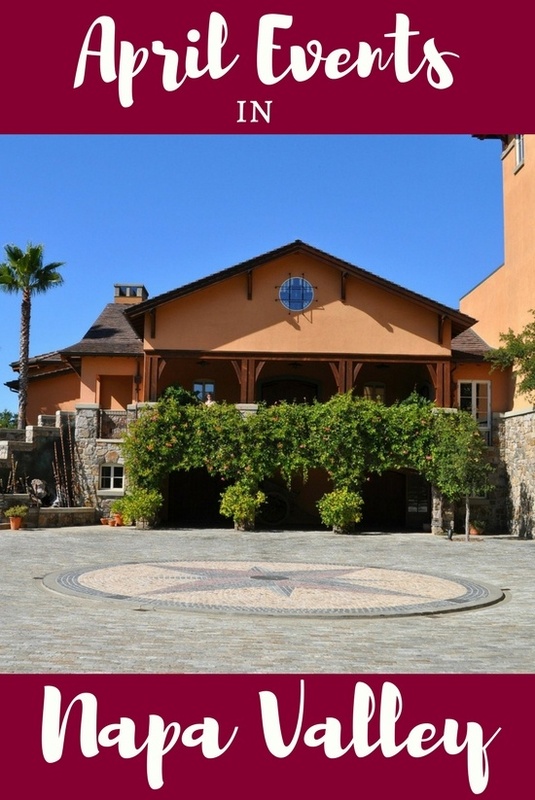 Beaulieu Vineyard: Masterclass: 2015 Cabernet Sauvignon Clone Release Tasting (4/13) release of 2015 Clone 4 & Clone 6 Cabernet Sauvignon paired with a vintage wine, hors d'oeuvres from 3 pm to 5 pm. Beringer: Founders Day Celebration (4/28), tastings, food, live music, and more from 11 am to 4:30 pm. Here are just a few of the best wine tasting deals right now for Napa Valley wineries.